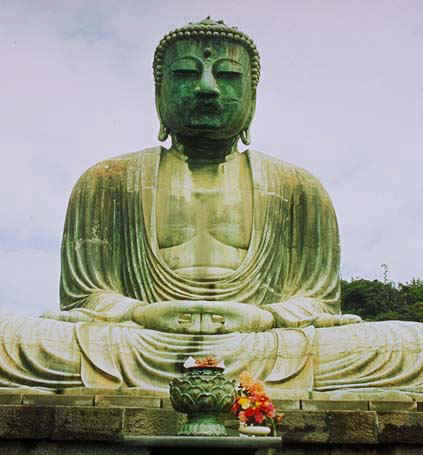 As Zen Buddhist priest and best selling author Steven Hagen writes in Buddhism Is Not What You Think, at the entrance to many Buddhist temples in Japan are the guardians of the truth, Paradox and Confusion. We can examine the entire elephant but we will still not fully understand until our blindfolds are removed and we “see”. Let’s consider another reason Buddhism cannot be learned simply as a mental exercise. In the beginning of the twentieth century, the answer to all of the following physics questions was “No”. Can a object’s twin exhibit identical changes at the same time regardless of the distance between them? Can an object change its behavior or properties depending on whether it is being observed or not? This “no” response was based on the “rigid frame” model of the physical universe, the clockwork reality of Newton and Copernicus. Richard Feynman, one of the leading researchers of Quantum Theory stated, “I think I can safely say that nobody understands quantum mechanics.” The physicists knew they were involved in a process of discovery. Similarly, if you try to learn Buddhism with a purely Western philosophical mindset, you are using the same rigid frame approach as the physicists. No matter how scholarly your approach to Buddhism may be, there is ultimately no final authority outside your own heart for the simple reason that the Buddha’s original words were never written down. These writings were in turn translated to English and it was not always possible to find equivalent English words. In his day it is likely he would have used different words to clarify the different meanings. Thus we cannot simply accept the written teachings literally but must use the Buddhist practices of loving-kindness, compassion, mindfulness and meditation to come to understand. For all these reasons and more, there is no final authority on the Buddha’s teachings but what we have does provide us with a sufficient map. If something is not rational then it must be irrational, there is no other option, would you not agree? To belabor the point, Buddhists do advocate that a person must acquire an intellectual understanding of the teachings on ultimate Reality prior to gaining a direct and non-conceptual realization of the nature of this Reality. I would argue that all the misery in this world is not because of too much reason, rationality, and thinking but because there is not enough of it. I suspect that you might be referring to the Buddha’s admonition not to accept what he teaches on faith alone but to test those teachings in our own experiences of the world. In which of the sutras does the Buddha say “that we should desire to be good students of the Dharma and good parents , employees or governors”? Being a creative seeker who dabbles in painting photography and several other arts , I find that I approach much of life in an artistic manner. The concept of, less is more, has resonated with me with increasing clarity recently, both in my photography and lifestyle, and your statement suggests to me that the Dharma can be approached as an art form. Kadampa Buddhism is a Mahayana Buddhist school founded by the great Indian Buddhist Master Atisha (AD 982-1054). The lineage of these teachings, both their oral transmission and blessings, was then passed from Teacher to disciple, spreading throughout much of Asia, and now to many countries throughout the Western world. 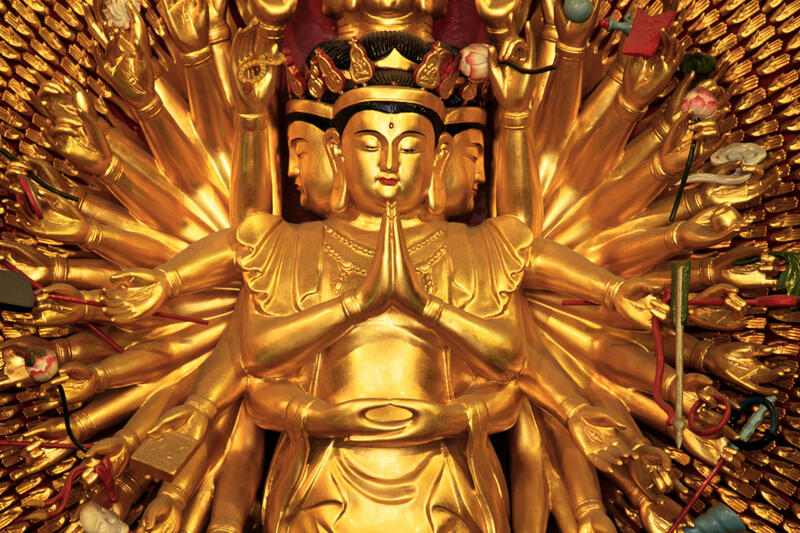 The external forms of presenting Buddhism may change as it meets with different cultures and societies, but its essential authenticity is ensured through the continuation of an unbroken lineage of realised practitioners. Kadampa Buddhism was first introduced into the West in 1977 by the renowned Buddhist Master, Venerable Geshe Kelsang Gyatso. Since that time he has worked tirelessly to spread Kadampa Buddhism throughout the world by giving extensive teachings,writing many profound texts on Kadampa Buddhism, and founding the New Kadampa Tradition (NKT). 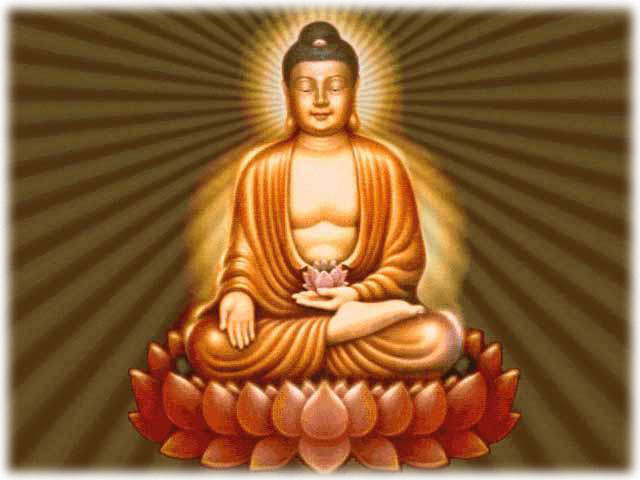 The founder of Buddhism was Buddha Shakyamuni who lived and taught in India some two and a half thousand years ago. Just as the thickest clouds eventually disperse, so too even the heaviest delusions can be removed from our mind. Each centre offers study programmes, meditation instruction, and retreats for all levels of practitioner. In 1997 the first purpose designed and built Kadampa Temple was opened at Manjushri Centre near Ulverston in Cumbria. There are many other Temples in or near major cities around the world that have adapted existing buildings. They are so placed because it is well understood that along the path you will encounter these two. Only with this “insight”, this knowing that is beyond thinking or words, do we truly come to understand just what an elephant is. Right View points the way, then we journey along the remaining seven steps and with each step our blindfold loosens until it falls away and – we see! They knew that they had to let go of the rigid frame mindset forever or they would never be able to understand what they were seeing. You will never actually get to practicing Buddhism but instead you will forever be stuck niggling over details like two blindfolded men. It is therefore best learned from a perspective of a middle way, through a process of practice, discovery and experience in addition to study and reflection, without attachment to either. Yet according to Thich Nhat Hanh in The Heart Of Buddha’s Teaching, the Buddha spoke none of these languages but instead a local dialect called Magadhi or Ardhamagadhi. The English version of the Four Noble Truths states, “The cause of suffering is desire” yet in many other sutras The Buddha states that we should desire to be good students of the dharma and good parents, employers or governors. So when we read, “The cause of suffering is desire” we must remind ourselves that Buddha’s original choice of words would have reflected the subtle meanings of his own language, culture and time. However only our own hearts journey through the real territory will enable us to finally arrive, to ride that elephant through the gates guarded by paradox and confusion, into the marvelous and majestic city of Nirvana. By the judicious use of reason and rational thinking one can easily demolish the the world views of racists, misogynists, war mongers, and climate change deniers to say nothing of the views held by Stephan Harper and the Conservative party of Canada. If there was such a thing, it would be going back to the ideas of Ptolemy, ideas which were pretty well demolished by Copernicus, no need for quantum theory. It sounds impressive; oooh, quantum theory, this guy must be smart, everyone should be impressed! Presumably there is an eastern philosophical mindset and maybe even a northern and southern one as well. Given that Siddhartha Gautama was being groomed to be the future ruler of the Shakya kingdom, he would have received the best education available at that time which would have involved the learning of other languages, especially Sanskrit, I would think. I would think that he would have admonished us to be good students etc., not merely desire to be. Is this anything like the Christian idea of the New Jerusalem, a cube 2200km on each side, suspended in the heavens, the streets paved with gold. I find that the Buddhist path is filled with subtleties, and delicate strokes of wisdom, not unlike fine art. You can also subscribe without commenting.Yes, please add me to your mailing list for your weekly digest! At that time he joined a local Rinzai Zen Buddhist temple and attended regular meditation practices, teachings and retreats. Share free language content with your readers with the Hungarian Word of the Day with Audio Widget. The great Kadampa Teachers are famous not only for being great scholars but also for being spiritual practitioners of immense purity and sincerity. There are now more than 1200 Centres and groups worldwide that have been established by Geshe Kelsang. Since then millions of people around the world have followed the pure spiritual path he revealed. By following this path anyone can gradually transform his or her mind from its present confused and self-centered state into the blissful mind of a Buddha. Our mind is like a cloudy sky, in essence clear and pure but overcast by the clouds of delusions. The emphasis is on integrating Buddha’s teachings into daily life to solve our problems and to spread lasting peace and happiness throughout the world. Geshe-la aims for each major town in the world to have its own Temple dedicated to world peace and directly helping local people to develop the peaceful minds that are the basis for world peace. This is most obviously seen given the emphasis placed on the fact that enlightenment can only be grasped through experience, through “no-mind”. At each step along the path, there will be times when it does not seem to make sense, just as an animal being a large flat sheet (elephant’s ear) does not make sense. A determination to fit Buddhism into a rigid frame is really a function of the ego as it finds yet another way to remain in control. One must return to Shunryu Suzuki’s “Beginners Mind,” proceeding then like an archeologist, unearthing a vast city long forgotten in the jungle as it slowly reveals its marvels and majesty. Accordingly, there are three categories of wisdom: 1) wisdom arising from hearing which include reading, listening to lectures, and study with a teacher. What I saw there were people sitting in their wheelchairs, drool running down their chins while staring at a blank wall. You make reference to Richard Feynman as saying that nobody understands quantum mechanics; so I say, why bring it up? What would have been the point of him teaching if everyone was just going to go on his own merry way? Even though nothing was written down for nearly 500 years, I for one think that even if the Buddha’s original words have not come down to us, his ideas have! After becoming the Buddha this would have stood him in good stead when arguing with scholars and Bhramins. The four reliances give us a set of criteria to use when we study: 1) Rely on the dharma, not the person. I thought that what you advocated was a “secular” Buddhism and now you lapse into New Age mumbo jumbo, majestic city indeed? Reason is required for a part of the journey however it must be abandoned at some point to complete the journey. From their individual perspectives, until they have had a chance to thoroughly examine the entire elephant, they cannot possibly know what an elephant actually looks like. Also there will be times when the blindfolded man at one end of the elephant will not agree with description of the elephant coming from the blindfolded man at the other end. 2) wisdom arrived at by thinking, this would include a careful and systematic investigation of a particular subject while meditating. Buddha explained that all our problems and suffering arise from confused and negative states of mind, and that all our happiness and good fortune arise from peaceful and positive states of mind. Meanwhile, as they proceed from one part to another, their idea of “elephant” is constantly being revised. His primary concerns were psychological, moral, and highly practical ones: How can we see the world as it comes to be in each moment rather than as what we think, hope, or fear it is? 3) wisdom arising from a deep level of concentration during insight meditation or vipasyana. He taught methods for gradually overcoming our negative minds such as anger, jealousy and ignorance, and developing our positive minds such as love, compassion and wisdom. Out of meditation we try to maintain the virtuous minds we have developed and use our wisdom to solve the problems of daily life. How can we base our actions on Reality rather than on the longing and loathing of our hearts and minds? It is significant that you cannot proceed to step three until you have mastered steps one and two. I do not think that I was looking at any type of enlightenment, rather they were in a mind state that we would not wish on anyone, would you not agree? As our mind becomes more positive our actions become more constructive, and our experience of life becomes more satisfying and beneficial to others. Anyone can learn basic meditation techniques and experience great benefits, but to progress beyond basic meditation requires faith in the Three Jewels – Buddha, Dharma and Sangha. What is the experience of being awake?” The Buddhists texts that I am familiar with are replete with notions such as analytic discernment, critical thinking, investigative reasoning, etc. Once we have gained experience of them for ourselves we can pass them on to others so they too can enjoy the same benefits. Usually people find this develops naturally as they experience the benefits of their meditation practice. The Buddhist epistemologist, the great Dharmakirti said something along the lines that all successful human endeavor is preceded by valid knowledge. Clearly, to my mind anyway, there is nothing in Buddhist philosophy that is irrational, so how can the “learning” of Buddhism proceed down an irrational path? The reasonable person would rather choose as a teacher one of those guys in the ochre robes with the shaved heads, would you not think? Now, I for one have never come across any of these people advocating the abandonment of reason as you seem to be doing. If there is a lama, sage or Buddhist scholar that advocates the abandonment of reason, I would like to know who that might be. rasim — 08.10.2015 at 19:52:15 Once more and patiently wend our way to the kitchen where the Female Principle in Tibetan Buddhism. ENRIGUE — 08.10.2015 at 19:24:14 Will information you into the quiet place meditation It is onerous to think about a extra. lala — 08.10.2015 at 14:56:43 Good causes for use Savary's book now. BezNIKovaja — 08.10.2015 at 21:44:57 Yoga, and business retreats such facilities may.